A lifelong musician, Scott Dulin spent most of his childhood playing the trumpet in various school bands. Following a brief hiatus from music after high school, Scott picked up his first pair of turntables and never looked back. Early in his career, skillfully-crafted DJ sets propelled Scott to rise quickly throughout the ranks of the Seattle nightlife and commercial radio scene, landing him his first weekly mix show in 2010 on Seattle’s MOViN 92.5, which he currently still holds. Since then, Scott’s been afforded opportunities to share the stage with countless high profile artists, such as Grammy Award winner DJ Jazzy Jeff and iconic rock band Eve 6. In recent years, Scott has shifted his focus, aiming to set his mark on the Seattle area’s private event industry. 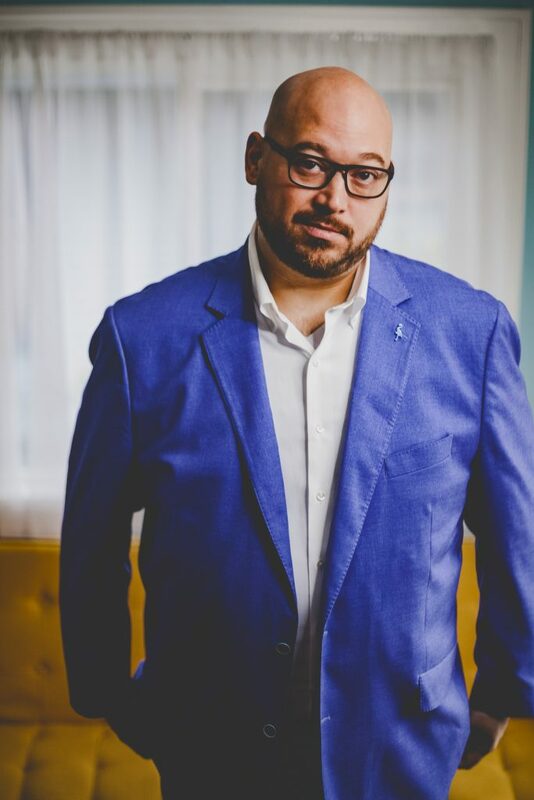 Performing at numerous weddings and corporate events annually, and consistently delivering high-energy dance parties, Scott has earned multiple industry awards and landed himself atop preferred lists of many of the leading event professionals in the Pacific Northwest. Scott is also a dedicated father to his son Rylan and his 4 1/2 year old Boxer, Pawllie. He spends a lot of mornings in the gym playing basketball, lifting weights, or suffering through the occasional spin class. Scott also enjoys good tequila and cooking for other people, spending most of his spring and summer months outdoors in front of a grill with a margarita in one hand and a pair of BBQ tongs in the other. Scott Dulin: One of Seattle Bride Magazine’s 10 DJs Guaranteed to Get The Party Started.